In the decades following the American Revolution, elected officials, moral crusaders, and relief administrators scrutinized the public welfare programs that assisted thousands of impoverished people. 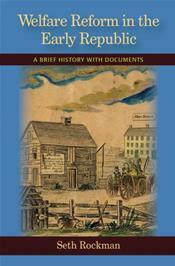 Seth Rockman uses documents ranging from sermons to almshouse admission rolls to show how reformers investigated the causes of poverty and pursued solutions that ranged from massive institutionalization of the poor to the total abolition of public charity.issues that are remarkably similar to the welfare debates of today. Also included are headnotes to the documents, questions for consideration, an annotated chronology, suggestions for further reading, and an index.